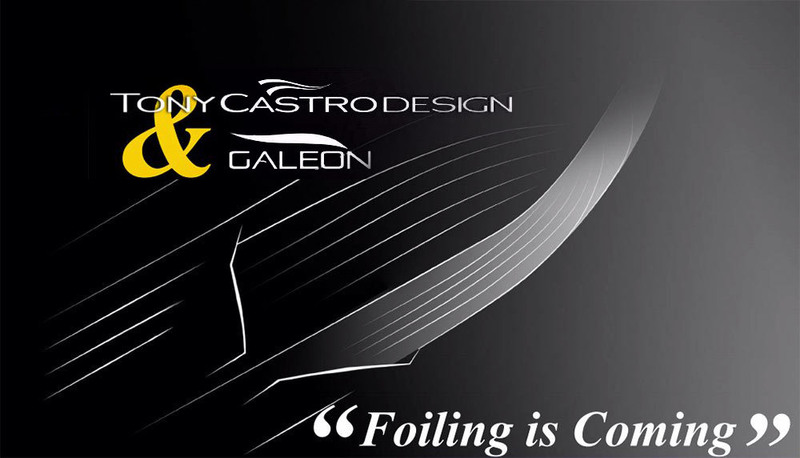 The longstanding collaboration between Tony Castro and GALEON Yachts will soon have the pleasure of announcing the works of our joint venture. We have been working closely over the last few years into developing pioneering new technology in the form of "Assisted Foiling" for their Powerboats. This will be, to our knowledge, the first use in the World of this technology on such Production boats, and reinforces our reputation together with the GALEON brand to be world leaders in new ideas and technology. It is a way to partially lift the boat out of the water to reduce hull drag and make it go faster with the aid of underwater foils. We have not finalised the manufacturing method at this time, and therefore it would be premature to price the project. Application of the technology could ultimately allow the use smaller more economomical engines to produce the same maximum speed that would be associated with larger power units. It is going to be retro-fittable? In the immediate future it would be difficult to achieve this without some extra work on the boat itself. It operates passively without human intervention. In other words the boat driver does not need to do anything whatsoever. The foils provide a certain amount of lift and also greatly improve seakeeping, due to having a natural tendency to counteract rolling as one example. Assisted foiling is not "flying" and the additional speed gains are projected to remain at a reasonable level - preventing hazardous incidents should a boat suffer rapid deceleration. Assisted foiling presents opportunties for enhanced hydrodynamic efficiency - resulting in being able to use smaller more efficient engines whilst achieving similar speeds to conventional boats with larger engines. Fully foiled boats can result in dramatic increases in speed, but these advances come with the associated risks of suddenly dropping off the foils and rapidly coming to a halt... ask Mr Ainslie about this! By supporting this development and my ideas GALEON continues to show the world it is a force in the advancement of technology and creativity.